On Monday, following a meeting with his Greek counterpart Euclid Tsakalotos, France’s finance minister, Bruno Le Maire, seemed quite optimistic regarding the potential of a good outcome of Thursday’s crucial Eurogroup meeting scheduled to take place in Luxemburg. The meeting will set the final details in determining a funding agreement between Greece and its international lenders. 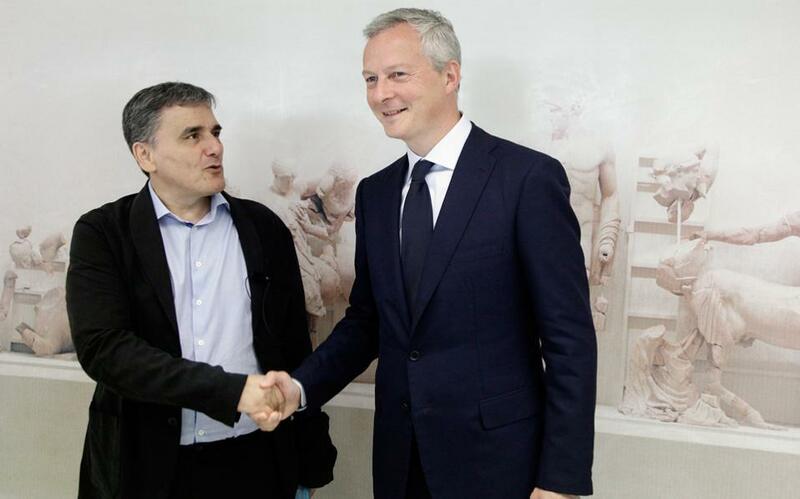 Le Maire traveled to Athens to help break the impasse that the talks had recently come to, according to reports. He presented a proposal for structured debt relief measures for Greece linking it to growth — something which is much-needed in order for the debt stricken country to move forward.